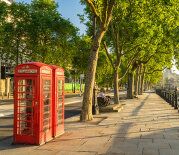 Every single day, Londoners are seeking professional removals services for a variety of reasons. After all, it’s a hard task to transport all heavy items and belongings to another location on your own. However, the type of items that need to be moved will help you easily decide what type of service you need. Q: How long is the travel distance between the properties? Q: Do you have any essentials that you would rather pack in a special way? 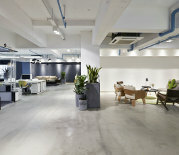 Q: Do you have any large items that require a bigger workforce to move? Q: How much work are you willing to do? Q: How many trips did you plan for the move? Q: Is money a factor? 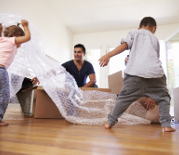 How many people would you like to help you out during the move out process? The man and van service is most suitable for when you are moving a few belongings or if you are a relocating student at a university’s camp who needs to move boxes packed with mostly personal stuff (most students only have the contents of one room to move once the academic year is over). In other words, the man and van service is like a house removal service, but on a smaller scale. It is perfect for small moves and is considered as an affordable and more effective alternative, as long as you aren’t moving your entire property. A full removals service can be booked if you’re moving a serious amount of belongings in your home or business/commercial property (office) from place A to B, along with your sanity. However, these subtle differences often cause confusion as most of the time both services appear to be the best choice. These two are very often seen as competitors within the business environment in London. Some removal companies often get frustrated with quotes that are placed against them by a business they believe to be a man and van service. But don’t worry about the competition, for at Fantastic Removals you can book both options easily! All you need to do is to give us a call and ask for a free, no-obligation quote. Man and a Van would be the better choice if your relocation from A to B has a short travel distance. If it’s too far away (especially if you are moving out of the country), then a man with a van may not be able to help you out. Professional removal companies have well-trained teams who can safely pack and move all your delicate antiques and expensive items. Booking our man and van service will give you the exclusive benefit of hiring not one, but two even three professional packers and movers. 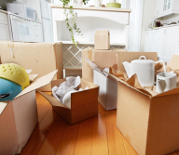 You may need a removals company that is able to provide enough people to suit your needs. As we mentioned above, with Fantastic Removals you don’t have to worry about any of this as you can either hire a man with a van specialist or a full removal service. If you book a man with a van service you may need to be prepared to get your hands dirty. However, you can avoid this hassle by hiring a full removals company instead. If the answer here is one then you need a larger lorry, which means that a regular removals service will most likely suit your needs better. Would you rather save some cash or is the extra help during a stressful time invaluable to you? The service is exactly what the name suggests – one man, one van, no lorries, no teams of people at your disposal. This service is ideal for small moves – for example, if you’re moving from a one-bedroom London flat or studio to another property of the same or similar size, go ahead and book a man and van. The service gives you the opportunity to keep your costs down and it’s possible to also provide you with the option of paying an hourly rate. Some companies will allow you to help your mover out with carrying and loading your possessions into the van, which will significantly shorten the duration of your move. Most man and van establishments don’t offer additional services, so having someone else do your packing and unpacking may not be an option. 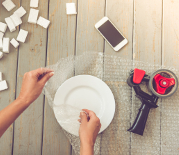 With Fantastic Removals, however, you can still benefit from all kinds of bolt-on services, including cleaning, delivery of packing materials, and other exclusive deals. This option generally offers you lorries instead of vans, plus a team of professional movers and, upon request, packers. If you’re moving between multi-story London houses, it makes much more sense to use this instead of a man with a van service, which would necessitate multiple trips between your old and new property. You’ll be able to get a full, fixed-price quote in advance, so you won’t have to worry about the clock ticking against you or your move – to inadvertently take longer because of bad traffic.